Maxi dresses are just the best... don't you think? 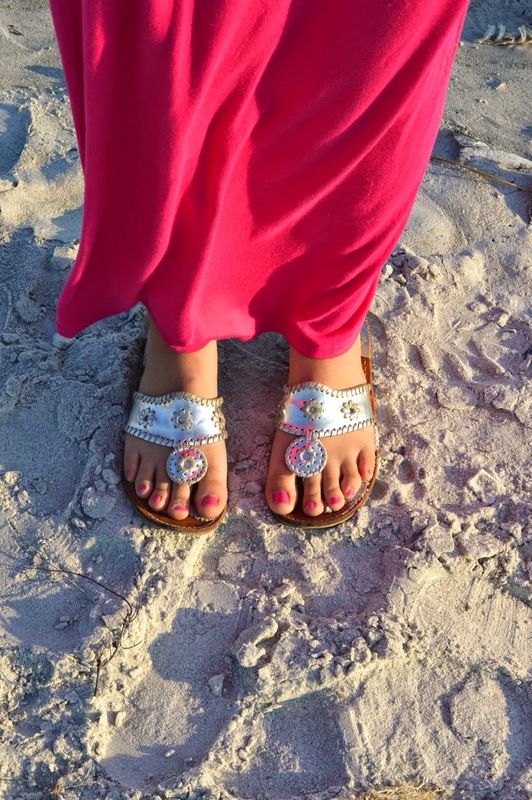 Whether you're dressing them up with wedges for a fancier occasion or dressing them down with flip flops for the beach, they're so comfortable, flowy and fun. I wore my favorite pink maxi on the last night in Florida and it was just perfect for a walk on the beach followed by a family dinner. These pictures are totally making me miss the beach sunsets right now... Have so much fun if you're somewhere warm right now! Are you a maxi fan? I love the way maxis look on other people, but I just feel too short to sport one. Love this pink on you! I love, love, love maxi dresses! They are perfect to just throw on to run errands or dress up. I have the same one that you are wearing and it is the best!